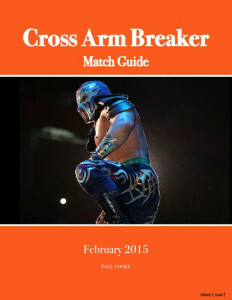 Much more from AAA, CMLL, WWE, and New Japan! 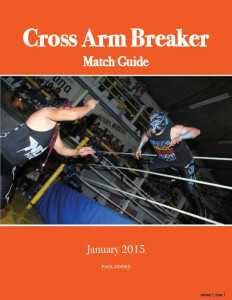 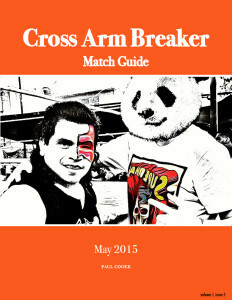 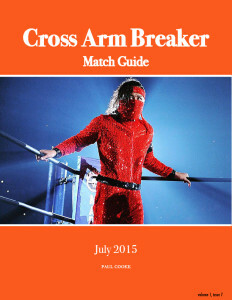 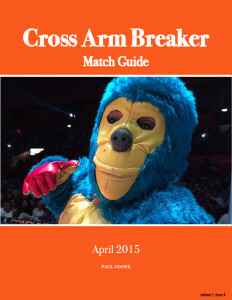 Coming mid-August, the Cross Arm Breaker 2015 G-1 Climax Match Guide feating match-by-match analysis for all twenty tournament participants. 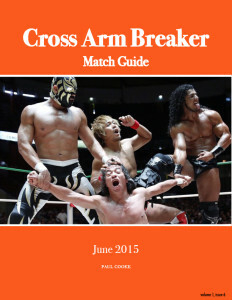 Look for it directly after the conclusion of this year’s tournament! 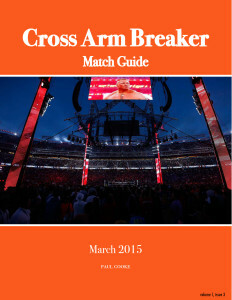 In case you missed them, the first SIX issues of the Match Guide can still be downloaded for FREE by following the links below.